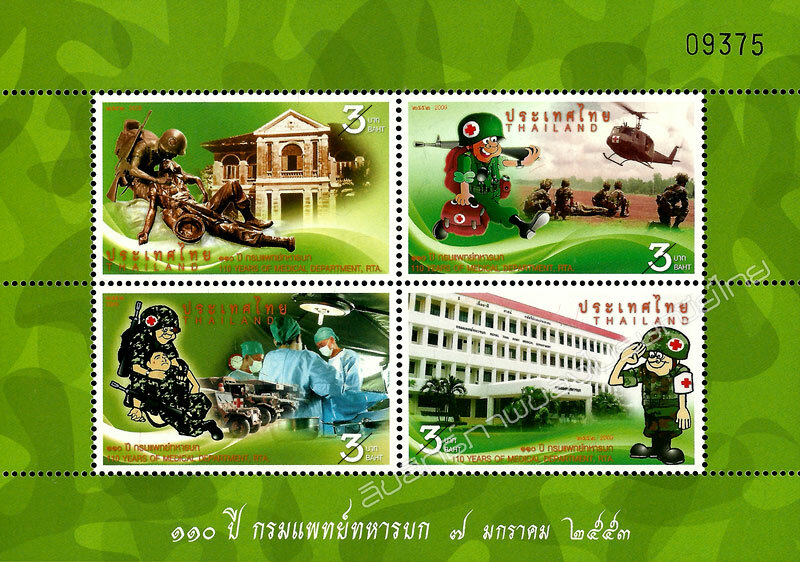 The Medical Department belongs to the service segment of the Royal Thai Army. 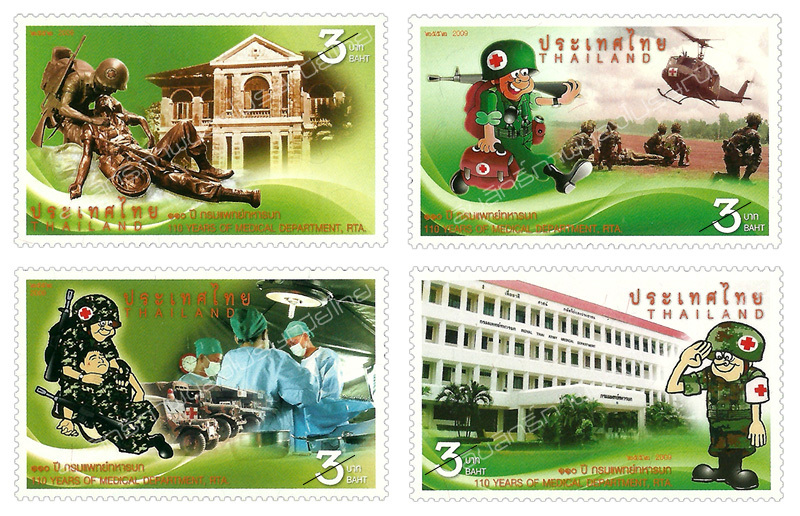 It is responsible for medical affairs, providing medical services at its regular base or in field, giving training to personnel in research and agriculture and supervising the medical divisions of different sectors of the Royal Thai Army. The Department has also involved in many missions; for example, the Dr.Oum's Life Saving Project. Under this project, all army hospitals across the country offer training in besic life saving for military personnel and people in general. This is one way of promoting the quality of life of the military personnel and the general public. 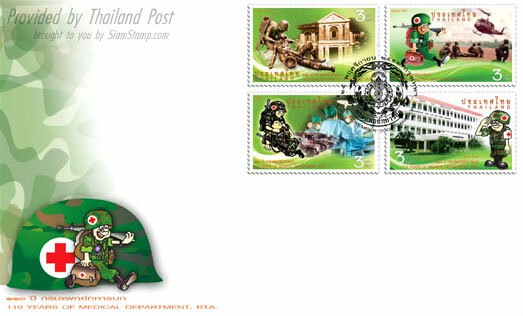 All the philatelic item illustrations are copyright to Thailand Post Public Company Limited.